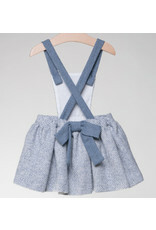 Gorgeous skirt in dusty blue shades by Fina Ejerique, has diagonal back braces which button up to the front panel, fully lined and large matching bow to the back of the elasticated waist. 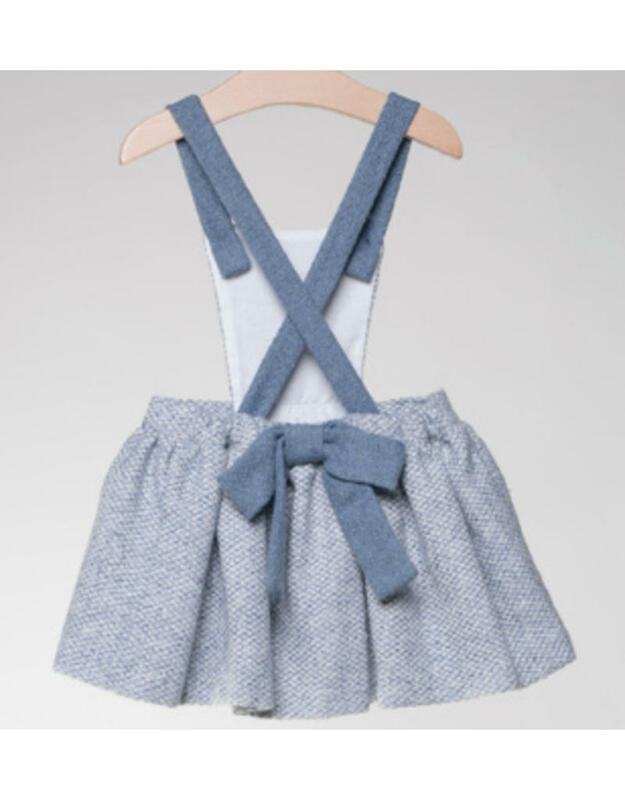 Beautiful details to this dusty blue shades dress by Fina Ejerique, has blue lace trims to the cotton ruffle collar and cuffs, matching bow and is fully lined. Sophisticated white blouse from Fina Ejerique, features a ruffled collar and gathered cuffs, the blouse has a polka dot effect throughout and a one button opening to nape.